We are effectively included in showing our benefactors a broad arrangement of Hot Melt Coaters for Packaging Industry with compelling quality. These items are manufactured by using the wonderful quality essential materials according to the set business measures. 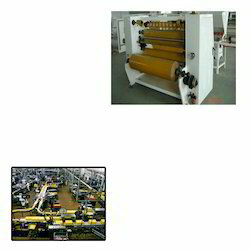 These items are utilized for covering hot melt cement covering onto the paper surface for utilizing as a part of cleanser wrapper and cleanser pressing. Despite this, these are open in mixture of details distinct options for meet the differed needs of our clients. Looking for Hot Melt Coaters for Packaging Industry ?